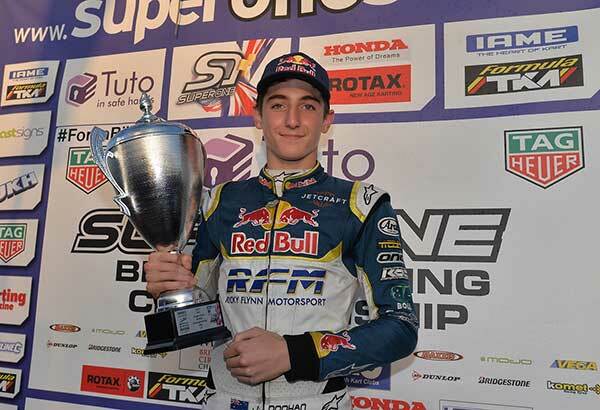 Jack Doohan is one of four karters to be signed to Red Bull’s Junior Team program for 2018. Fourteen-year-old Doohan, who already had some Red Bull support, will be joined by rivals Johnny Edgar (13), Harry Thompson (13) and Dennis Haugar (14). Next year, Doohan and Hauger will race British F4 with the Arden team, while Edgar and Thompson will continue in karts. All four are contesting this weekend’s OK and OK-Junior World Championships. Red Bull team boss Christian Horner said at the Belgian Grand Prix that the drinks company has been looking to karting in a bid to find its next Formula 1 World Champion. “For me, if I look outside of Formula 1 at the moment, there seems to be a bit of a gap… there are a couple strong drivers in F2, there are a couple in GP3, but there seems to be a bit of a void” he said.